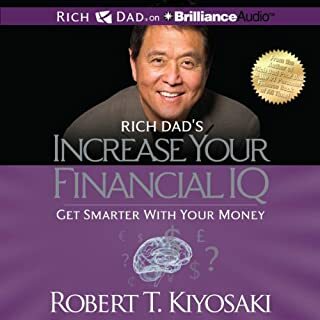 ©2002 Robert T. Kiyosaki (P)2013 Brilliance Audio, Inc. The information his books is repurposed many times over, and while there is some new information in each book, there is really an embarrassing amount of repetition. I hate to say it, but it does seem like Robert is trying to squeeze blood out of a stone at this point. There is a level of deception in repeating his information - readers like myself who value his work will buy all of his books, to find that they have spent $200 on an overall total of two books worth of unique content. With all of that said, I don't complain, because that $200 has been a very, very lucrative investment in my life. 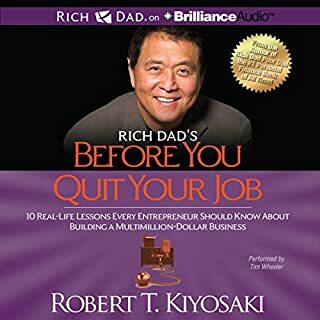 Without reading Kiyosaki's books, my current mindset would not be the way that it is, and I would not be in the position that I currently find myself in. 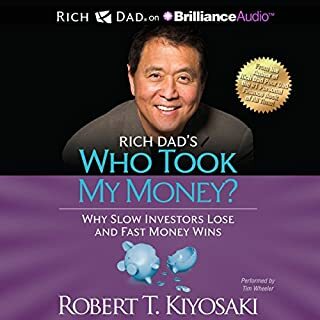 Overall, if you haven't read Rich Dad books before, and you wish to be successful and wealthy in business and investing, you are doing yourself a disservice if you do not read them. Just please be aware, once you have read one or two, you will have to sift through some regurgitated content to find the hidden gems. This was by far the most informative and motivating of all the Rich Dad books. This book should be more popular than Rich Dad Poor Dad. This is the book every aspiring entrepreneur needs to read. Loved this book. Robert teaches a range of concepts from novice to advanced. Physical concepts that you should be doing daily. Most people look past the novice daily habbits but they are critical to changing your future. Then he teaches Mental concepts on how to change your thinking.. which are really advanced. If you are a person who knows to look within to solve your problems.. you will love Roberts approach. His challenge to think past the way you've been raised is not an easy task for most drones. If you're looking for a written recipe or formula.. then you will probably miss the deeper journey he's asking you to take.. which is.. only you can create a formula for you. I loved it! The most memorable bit was about doing what needs to be done, rather than looking for a job to do. Thanks Robert! He's a legend. wish I had access to his books when I was 5. I was ready then. anyway retired at 37. not too bad. Loved the real world examples. As an owner of apartment communities and real estate investor for over 6 years I can attest that the books content is accurate. This is a great read for both those looking to get stated changing their financial reality and those like myself that want to take it to another level. One word: POWERFUL!! Para quienes están abiertos a escuchar y cambiar su mentalidad, la mentalidad pobre con la que fuimos educados. Best of the RichDad series yet!!!! 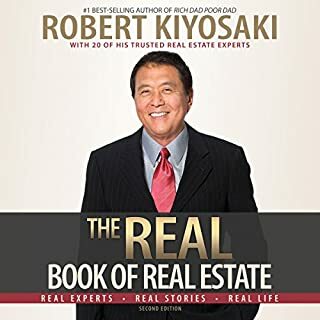 I’ve listened to 5 of Robert Kiyosaki’s books now and it’s completely opened my mind and changed the way that I think. Retire young Retire Rich for me seemed to go deeper into his philosophies and beliefs. It’s not just about how to become rich, it’s about how to get far more out of your life. I think this actually almost crosses over to a self help book. I truly believe this is the work of a genius. Wow that was amazing. I want to listen to more of Roberts books. I'm angry that I can't afford a mortgage at 50. I feel robbed by life. Robert is giving me hope that I don't die unhappy and in poverty. Great audiobook, please fix the last chapters, I couldn't listened to it completely because of this. Perfect combination of learning and motivation! Great work, clarity and mind expansion guarantee. I will listen to this again and once every month. Managed to get through this audio book though was tempted many times to turn it off. There is absolutely no content to this book, all the author keeps saying is 'content' and 'context'! I also heard the same stories, ideas and sayings at least 3 times. Definitely get the feeling this was an after thought of a book. Less a business book more a psychology paper. What would have made Rich Dad's Retire Young Retire Rich better? Put new material in or new examples in that weren't in his first book. 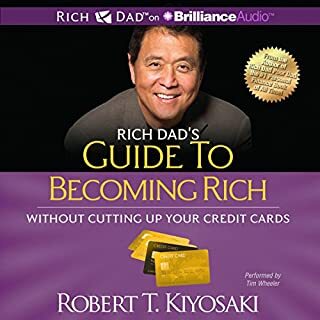 What could Robert T. Kiyosaki have done to make this a more enjoyable book for you? Come up with new asset classes or new idea's he did'nt already share in his first book. Would you listen to another book narrated by Tim Wheeler? 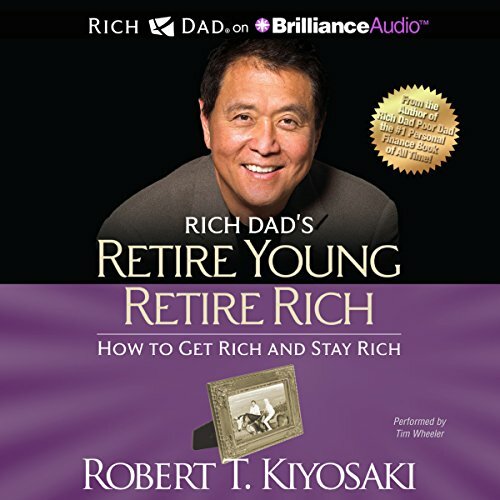 What character would you cut from Rich Dad's Retire Young Retire Rich? I have completed 8 Books of Kiyosaki by this stage. And this book by far the most valuable in term of stretching your thinking to whole new possibilities of thinking rich. It gives you a peek into the world of abundance. And the story is really amusing to listen to. A word of warning: the context and content of this audio book will make more sense if you understand the principles of Roberts 3 previous releases. Book explores the mental mindset needed to become wealthy as this is the foundation needed for wealth. Author goes into great detail about content and context. another classic by Robert Kiyosaki!! Great book to open your mind and understand why you should action your life. Great read ! 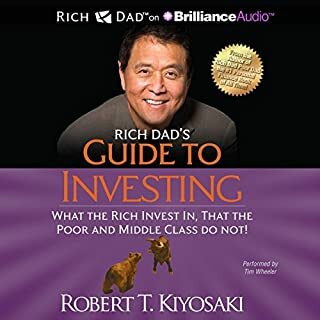 Amazing book that does change people’s life and add much more to the Rich Dad series. Brilliant, exciting to listen. Changed my view.